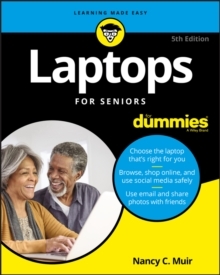 Get the most out of your laptop or tablet PC Laptops For Seniors For Dummies makes it easier than ever for the 50+ set to enjoy a laptop or tablet PC by taking the intimidation out of working with a new device. 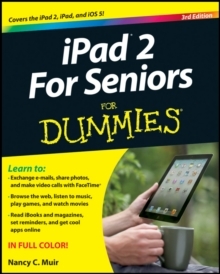 Featuring larger text and images, this bestseller empowers you to keep up with your kids or grandkids with all the latest and greatest that technology has to offer. 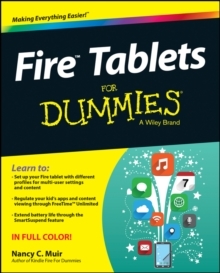 Assuming no prior knowledge, this accessible guide starts from the beginning by helping you select the right laptop or tablet for your needs, shows how the various parts connect together, and illustrates how to use the keyboard and mouse. 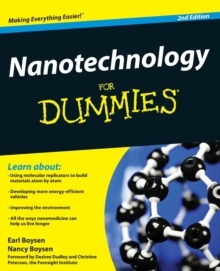 Once you've chosen your device and mastered the basics, this book will help you navigate your way around the Windows 10 operating system, show you how to use the touchscreen capabilities, and so much more. In no time at all, you'll wonder why you hadn't bought a laptop sooner! Keep in touch with family and friends through email and social networking sitesGet on the internet to shop and browse your favorite sitesEnsure your information is safe onlineUse the latest applications for work and play Everything you love about your desktop computer can be conveniently taken on the go with a laptop. 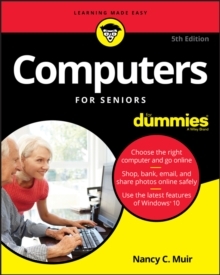 Laptops For Seniors For Dummies will help you have fun and feel successful with your new device.